I told a friend I was researching isopods. She said, “Isopod? Something new from Apple?” The isopod does have slim, sleek, silver lines, impeccable design suited to its purpose, comes with it’s own hardshell carrying case and can be found around the world. It is, however, not the brainchild of the late Mr. Jobs. It is a crustacean. You might never have seen one but you’ve probably seen the front door of its home. The tiny holes pockmarking the thin strip of beach just beyond the waves are the entrance to the isopods lilliputian burrows. Humble as the isopod is it is also at the centre of a growing debate about how we treat beaches around the world. Over the last few decades communities from Lake Huron to Baja have taken to grooming their beaches. “Beach grooming” is another phrase that conjures confusion with some people. Summoning visions of excess hair care while reclining on beach towels. But no, beach grooming refers to the beach itself. Not the vanity of its users. Beach grooming is the practice of raking a beach, often with a tractor. The rationale for it being the removal of garbage, seaweed, marine detritus, and to give a beach the tourist tempting pristine look of the holiday brochure. Grooming is especially popular on beaches that are exceptionally popular. That is, where large numbers of people gather and tend to leave plastic bottles, bags, and food wrappers in their wake. The proponents of beach grooming argue this positive side of the practice: cleaning up the beach. Detractors of beach grooming often cite three main problems. First, the raking aerates the sand, drying it out and making it more prone to being blown away. Second, it can tear up seeds and small plants that might otherwise help to stabilize dunes. Finally, and of most concern for our isopods, raking can disturb or destroy the habitat of everything from birds and turtles to the near countless number of tiny beach dwellers, such as the isopod. Isopods live in a distinct part of the beach. The splash zone, the spray zone, the supralittoral – all of which mean the strip of sand just beyond where the waves pound. Creatures who make their homes here have the best, or worst, depending on your particular evolution, of both worlds. The dry and the wet. Seaside supralittoral dwellers have to adapt to saltwater, fresh water from rain, cold, heat, periodic submersion and exposure to wind and predators. That sounds like one tough, well-adapted creature but it is in fact a delicate balancing act. Tip the scales a bit too far in any direction and mortality is not far off. Raking a beach does aways with everything that beach dwellers need to survive, from the strand line materials (wrack) critters use to build their nests and homes all the way down to major players in the food chain, such as the tiny isopods. Fully aquatic creatures, like fish, only have to cope with the wet world. Terrestrial with the land. But inhabitants of the splash zone deal with both. This makes them particularly vulnerable. Most can’t just swim off into the sea or migrate across the land. The history of beach grooming is short but far reaching. 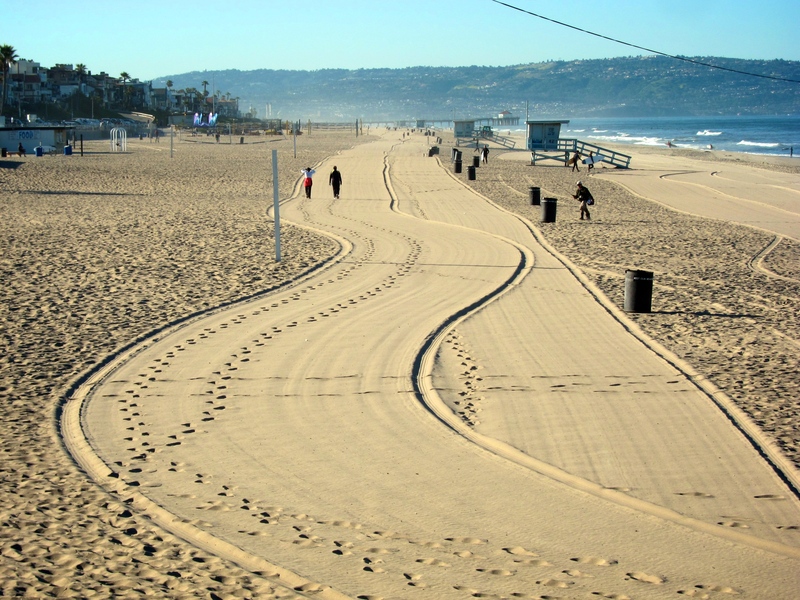 Today nearly half of all the beaches in Southern California are groomed. And that’s where the research is emerging from places like the University of Southern California, Santa Barbara, showing the precipitous declines of isopods from popular beaches in the area. The isopod, lowly and unassuming in itself, is an integral part of the the beach ecosystem. A major food source for shore birds. Its disappearance signalling an ecosystem in decline. Beach grooming is so destructive that many communities are looking at ways to limit or all together cease the practice. In an unprecedented move Sauble Beach on the Bruce Peninsula had its Blue Flag status revoked by Environmental Defence when it revived its beach grooming activities. Beaches are often groomed to remove litter left by beachgoers. Keep your next beach trip free of litter. 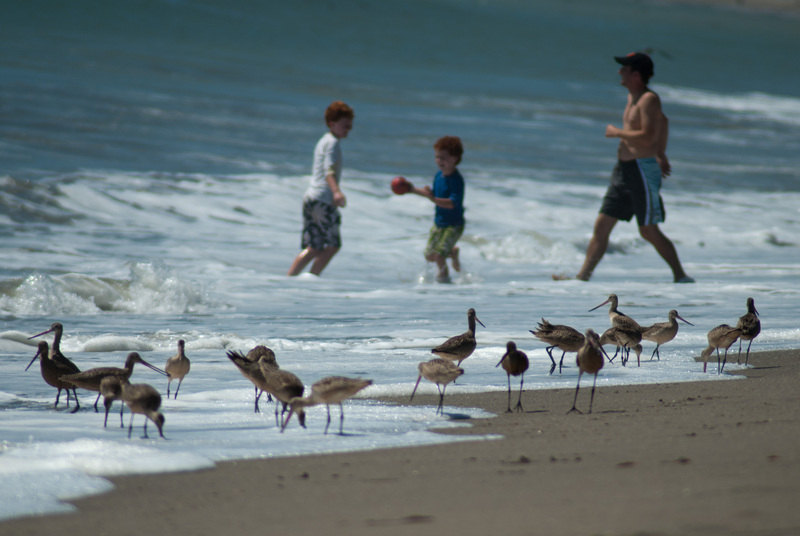 Learn about the animals you are sharing the beach with.